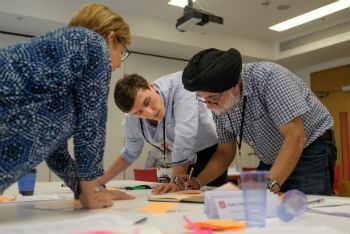 This multi-disciplinary five-day course provides an in-depth overview of the economics and governance of climate change, and the risks and opportunities they present for a range of organisations. The course begins with an intensive introduction to climate change as a scientific and particularly as a social scientific issue, intended to bring students up-to-speed with the key concepts. The scientific evidence on climate change will be outlined and well-known controversies will be covered. Then the key concepts of climate-change economics and governance will be introduced, such as market failure, pricing carbon, and the tragedy of the commons. Climate-change mitigation: the relationship between economic growth, competitiveness and carbon emissions; technologies to reduce emissions and their costs; policy instruments, including emissions trading and carbon markets. Adaptation: using information from climate models and science to adapt to climate change; understanding vulnerability and resilience to climate change, including the links between adaptation, economic growth and poverty reduction; the role of public policy in promoting adaptation, including financing adaptation. Politics, governance and institutional development: the international institutional architecture for climate change; international law; political bargaining at the international and national levels; policy-making and policy implementation by governments, non-governmental organisations, businesses and communities. Risks and opportunities: the risks and opportunities created by climate change for different organisations. Global development professionals that deal with the impact of climate change and its related policies.